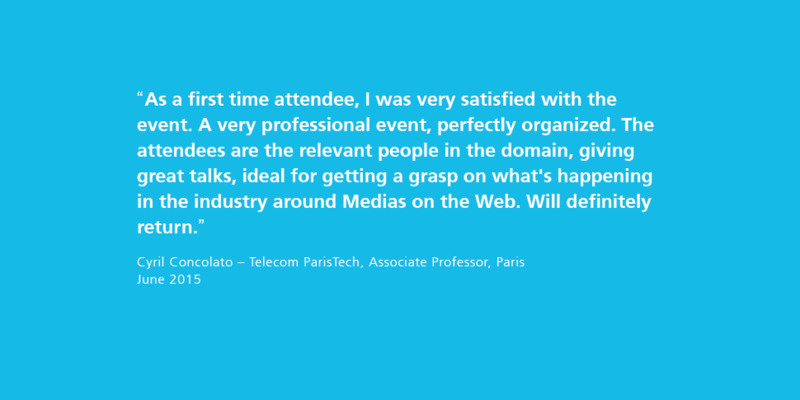 The 5th edition of the FOKUS Media Web Symposium on May 20 & 21, 2015 was a big success. 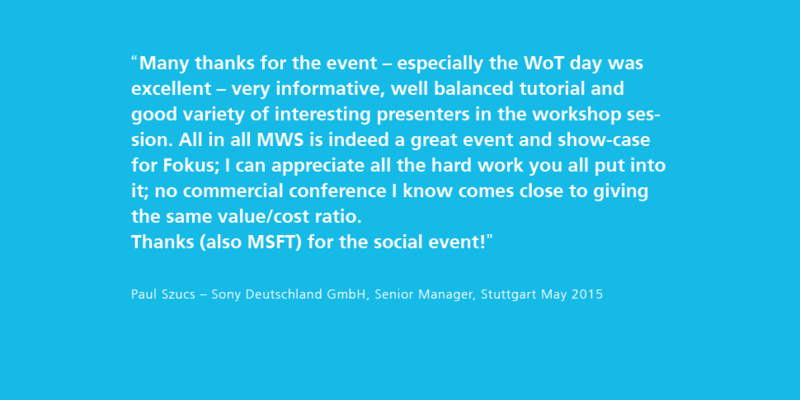 We want to thank all participants, partners and contributers and hope to see you again. The focus of the 5th FOKUS Media Web Symposium was on „Web of the Future for the Creative Industry – Technologies, Tools, Standards“. 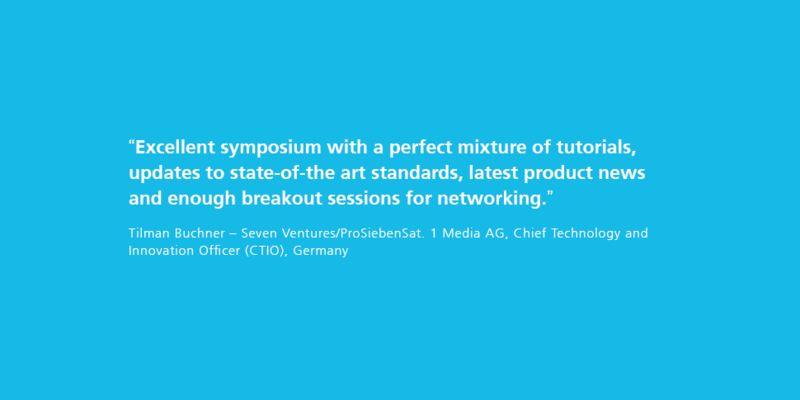 The symposium offered the latest insights in Connected TV, Web Technologies, Internet of Things, Streaming Media and Multiscreen Solutions. Following our tradition of providing a platform for international technology experts, they presented and discussed latest developments of web technologies and up-and-coming trends of the creative industry. 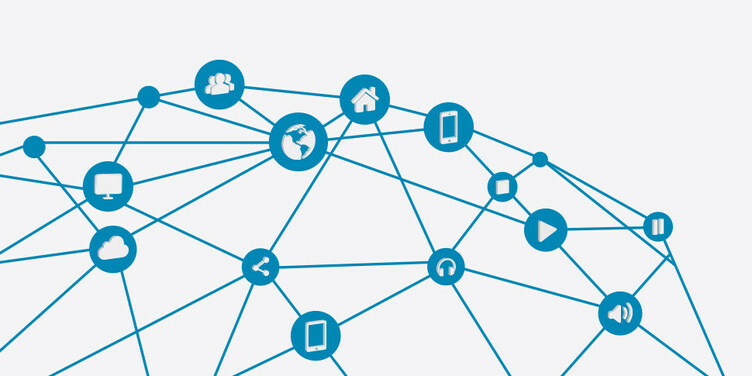 Akamai, Arvato, BBC, bitmovin, BitTubes, digitalSTROM, EmtoEmgo, Ericsson, Condition-ALPHA, CREATE-NET, DASH-IF, Deutsche Telekom, European Commission, Evrythng, Google, HS Mainz, IBM, Idealo, Intel, Institut für Rundfunktechnik, Konica Minolta, LG Electronics, maxdome, Microsoft, Mozilla, Netflix, NTT, Opera, Parship, Qualcomm, relayr, RT-RK, Rundfunk Berlin-Brandenburg, Siemens AG, Telecom Italia, Télécom ParisTech, Thomson, TÜV Rheinland, VisionMobile, W3C, Zattoo. 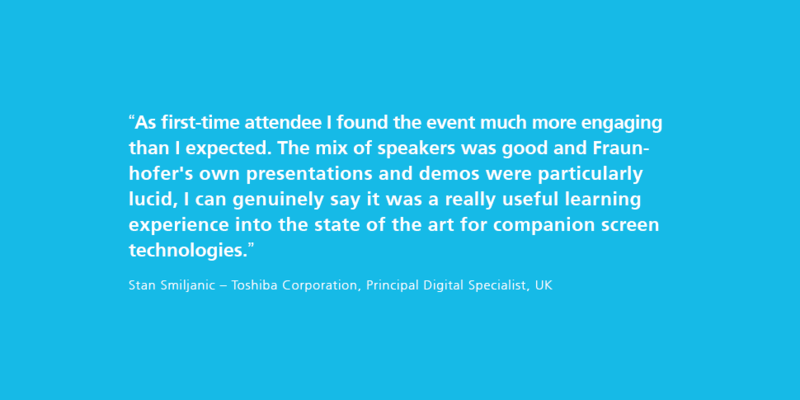 For more impressions of the event, have a look at our photo gallery. 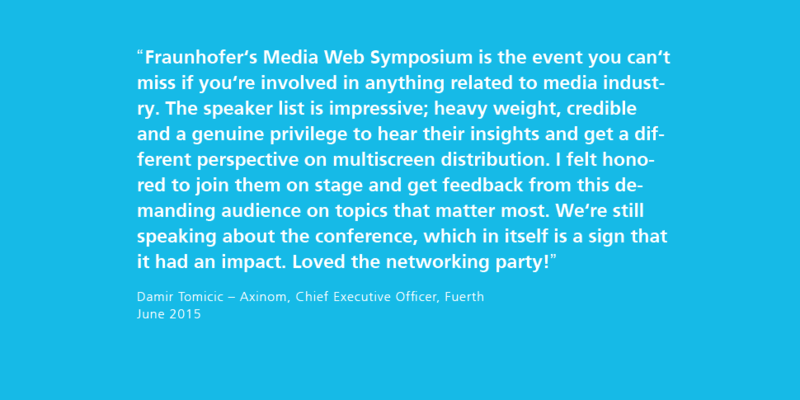 We hope you enjoyed the 5th FOKUS Media Web Symposium as much as we did and hope to see you again at the next Media Web Symposium. For any questions, feel free to contact us. 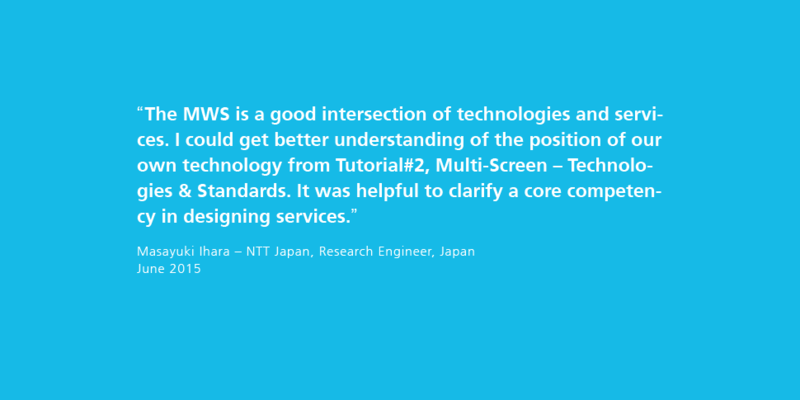 W3C Second Screen Presentation WG open session “Multi-Screen – Challenges and Best Practices"
SmartTV, Interactive, On-Demand, Multi-Screen, UHD – Mission accomplished? 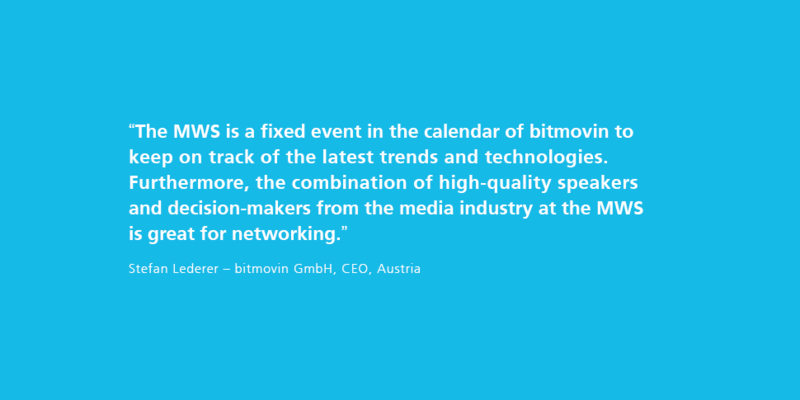 Have a look at our detailed program and speakers. 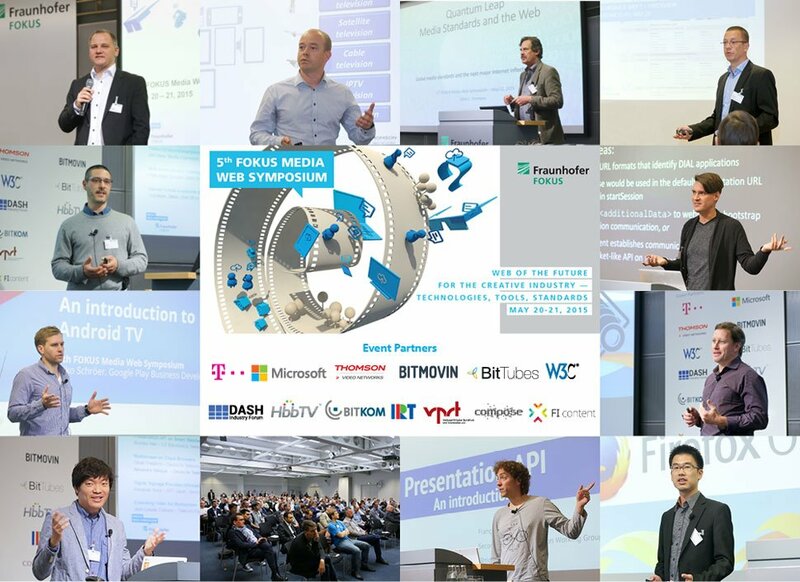 Deutsche Telekom, Microsoft, Thomson, bitmovin, BitTubes, W3C, DASH Industry Forum, HbbTV Association, BITKOM, IRT, VPRT, Compose, FI-Content. 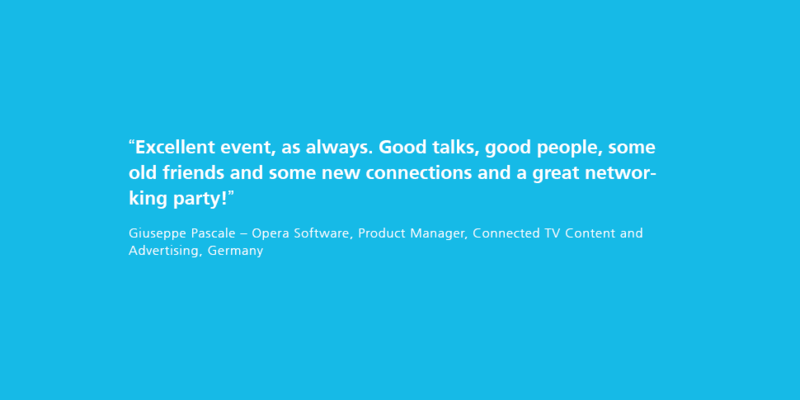 On May 20, our networking dinner sponsored by Microsoft took place at the event-location "Osteria Maria" in Berlin-Steglitz. We had an inspiring evening together and enjoyed delicious food, drinks and conversations. For selected pictures, click here. During the event, our partners and sponsors demonstrated their products and solutions in the exhibition area. 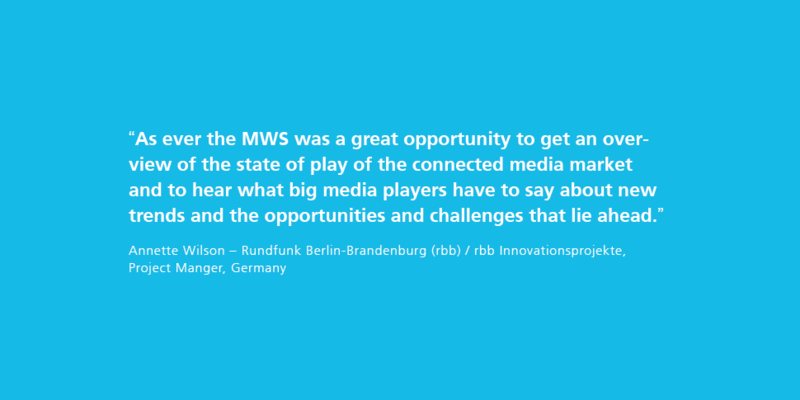 Furthermore, we co-hosted two workshops in conjunction with the 5th FOKUS Media Web Symposium. 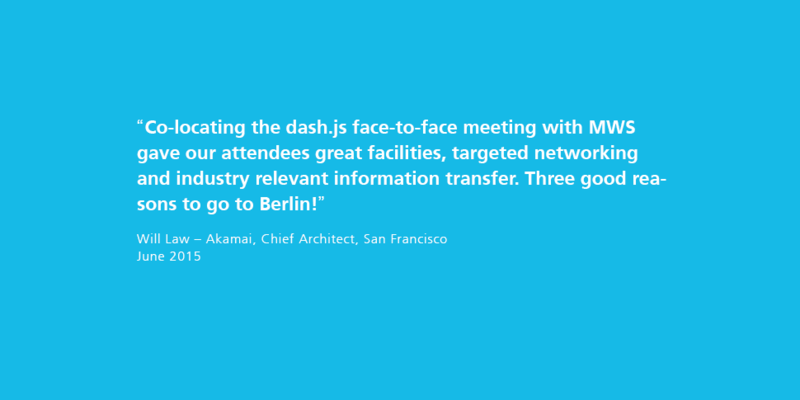 We welcomed the “W3C Second Screen Presentation Working Group F2F Meeting" as well as the “dash.js – Face to Face Meeting", co-organized by the DASH Industry Forum, and the “FIcontent2 Social Connected TV Workshop" by the European PPP research project Future Internet Content 2. 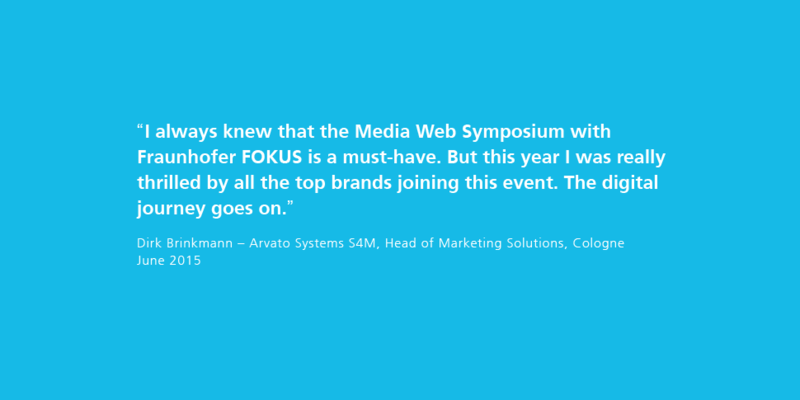 Stay up-to-date: The 6th FOKUS Media Web Symposium takes place in May 2017!